Yesterday, the Senate Education Committee held a special hearing on one of the two competing Senate School Choice Bills – these two Senate bills are sponsored by Joyce Elliott and Johnny Key (there is a third public school choice bill being considered in the House). Both Senate bills were originally going to be discussed yesterday, but Senator Key’s was undergoing changes. Instead only Senator Elliott presented her bill, but made clear from the outset that she had no intention of taking a vote. The purpose of the meeting was to have a thorough discussion of the issues that relate to the Public School Choice Act. 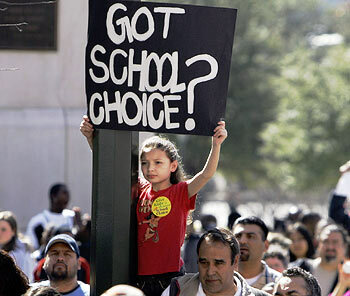 As we have mentioned before, the original School Choice Law has been deemed unconstitutional by the Supreme Court. This session, legislators have sought to amend the current law in several ways. The first idea (that is supported by many) is to allow all students who have already transferred under the previous school choice bill to remain in their non-residential schools. However, there is still the question of what to do when parents or students wish to attend a public school that is out of district. This is where the bills proposed by Senators Elliott and Key differ. In Senator Elliott’s bill, the receiving district makes the decision about whether there is an educational need that justifies a child choosing the receiving school district. Additionally, sending districts can request an exemption from the program (so that students would not be able to leave the district) out of a concern that it might lead to re-segregation in some part of our state. Several lawyers and superintendents testified to this concern yesterday.